Carson City, NV. March 30, 2019. 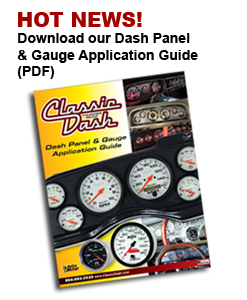 Classic Dash, the industry leader in OEM replacement dashes, is pleased to unveil their latest composite dashes; the 2010 – 2015 5th Generation Camaro dash designed especially for the RacePak IQ3 and Holley EFI digital dashes.